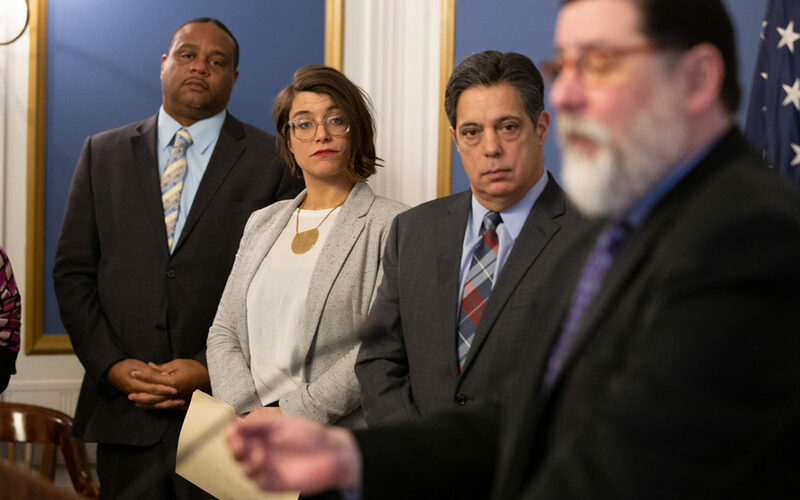 Pittsburgh, Pa. − January 22, 2019 − At a press event today in Pittsburgh Mayor William Peduto’s office, Senate Democratic Leader Jay Costa, Jr., Representatives Ed Gainey and Sara Innamorato, and the Mayor announced plans for a property tax relief program for Pittsburgh. As Pittsburgh continues to experience increased investment and development pressure in specific neighborhoods of the city, longtime owner occupants have been and will continue to be put at risk of being forced out of their homes due to rapid increases in property taxes. Given these rising costs, the City of Pittsburgh sought options to keep homeowners in place. The current state law requires for Allegheny County to enact an ordinance that would then allow the other municipalities within the county to enact their own programs to defer or exempt increasing taxes. However, Allegheny County has been unable to create a program that defined the parameters of the program specifically enough to satisfy court challenges or flexible enough to meet the varying needs of is many local governments. Senator Costa is currently seeking cosponsors on a bill that would allow Allegheny County to create a longtime owner occupant program (LOOP). There are distinct differences between the application of the statute in a county of the first class with one municipality and a county of the second class with 130 municipalities. Most notably, there are practical challenges in the ability to properly define the eligibility parameters and designated geographic areas for counties of the second class given the large number of municipalities. “We need to make sure those who stayed in Pittsburgh through the bad times can remain in their homes through the good times. This legislation will help us ensure that,” Mayor William Peduto said.